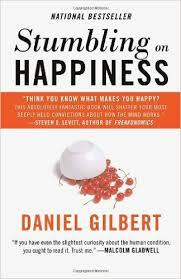 Harvard psychologist Daniel Gilbert says our beliefs about what will make us happy are often wrong - a premise he supports with intriguing research and explains in his brilliant and funny book, Stumbling on Happiness, which Time magazine called “Fascinating.” The Washington Post raved, "Gilbert is a professor by trade, but he's every bit as funny as Larry David." Stumbling on Happiness is not a self-help manual, but a deep and delightful explanation of what psychologists, neuroscientists and behavioral economists have discovered about why people are so poor at predicting the sources of their own satisfaction. Gilbert’s research on how we mispredict what will make us happy has dramatic implications for business strategy, sales and marketing, and understanding customers. His 2007 book, Stumbling on Happiness, spent 6 months on the New York Times bestseller list, has sold more than a million copies worldwide, has been translated into more than 30 languages, and was awarded the Royal Society’s General Book Prize for best science book of the year. In 2010, he hosted and co‐wrote the award‐winning NOVA television series This Emotional Life which was seen by more than 10 million viewers in its first airing. In 2013, he teamed up with Prudential to do a series of television commercials meant to help Americans overcome the psychological obstacles to saving for retirement. This advertising campaign has been one of the most successful in the history of the financial services industry. 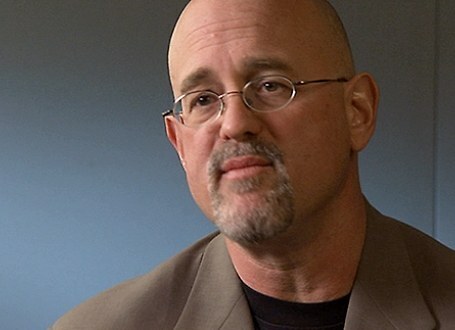 ​He is a contributor to Time, The New York Times, and NPR’s All Things Considered, and has been a guest on numerous television shows including The Today Show, Charlie Rose, 20/20, The Colbert Report, and The Late Show. In 2014, Science magazine named him one of the world’s 50 most‐followed scientists on social media. Dan’s TED talks have been seen by more than 15 million people, and his first TED talk remains one of the 15 most popular of all time. The Dan Gilbert keynotes are charged with the scientific insights that explore the impact of trauma on people's psychological well-being. The concept of synthesized happiness is a compelling topic covered in the Dan Gilbert keynotes, betraying his infectious passion for the inner-workings of the human mind. Daniel Gilbert believes that most of us are pursuing happiness with the wrong map. Just as optical illusions fool our eyes, Gilbert’s award-winning research shows that our brains systematically mispredict what will make us happy. His work has had a profound influence in psychology, behavioral economics, law, and medicine. The message is original, but it his delivery that sets him apart. His quick, engaging, and often hilarious style of writing and speaking explains why he was chosen to host the new PBS televisions series Secrets of Happiness and why his book Stumbling on Happiness spent 25 weeks on the New York Times bestseller and has been translated into 30 languages. Floss daily, save for retirement, and don’t wear plaid pants before or after Labor Day. Most experts tell us what to decide but they don’t tell us how, and so the moment we face a novel decision—should I move to Cleveland or Anchorage? Marry Jennifer or Joanne? Become an architect or a pastry chef?—we’re lost. Is there any way to know how to precisely the right thing at all possible times? In fact, there is a simple method for making decisions that most people find easy to understand and impossible to follow. New research in psychology, neuroscience, and behavioral economics explains why.